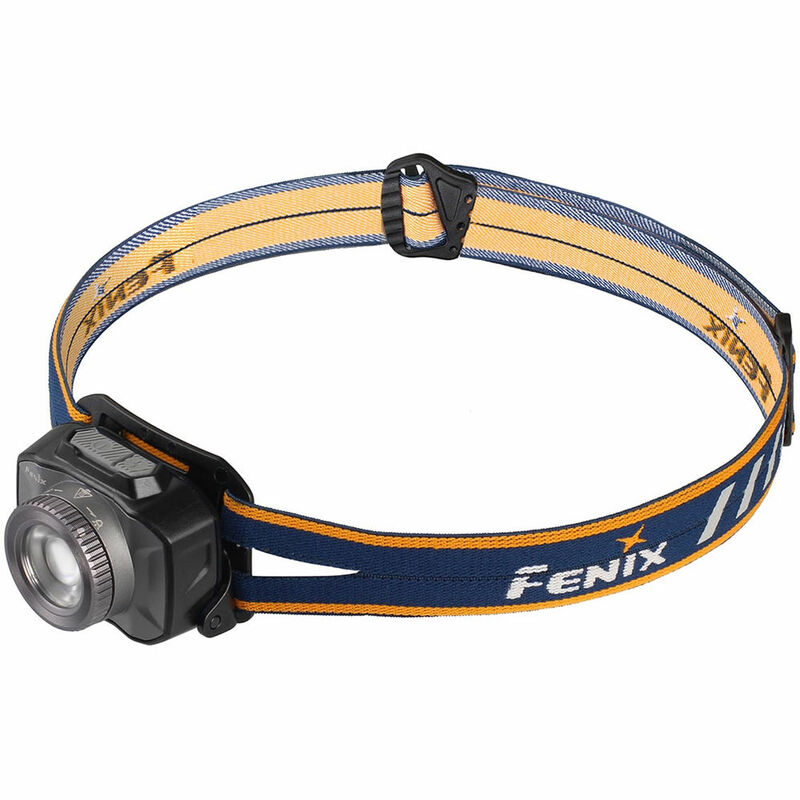 Twist the bezel of the gray Fenix HL40 Rechargeable Headlamp to adjust its beam from a wide-angle flood to a focused spot, as your needs dictate. This versatile lamp offers five brightness levels plus a 600-lumen burst for short-term, high-output illumination. There's no need to dispose of and replace dead batteries—the HL40R is equipped with a built-in 2000 mAh battery that charges via micro-USB, and a four-stage indicator lets you know exactly how much power is left before it's time to recharge. Runtimes range from 200 hours on the 4-lumen reading setting to 4.5 hours on high, with up to 1.3 hours of burst available. The lamp is controlled by two push-button switches, a general mode switch with access to burst mode, and a function switch for when you only need a choice of brightness levels. A lockout option prevents unintentional activation, and the lamp features intelligent overheat protection and digitally regulated output circuitry. You can tilt the lamp to put the beam exactly where you want it. The rear part of the headband consists of dual straps for comfortable support.